Hello, I’m Daniel a freelance WordPress web designer based in Plymouth, Devon. After a successful career in sales & marketing, I decided to break free of the daily grind and setup my own website and graphic design freelance agency and work from home. 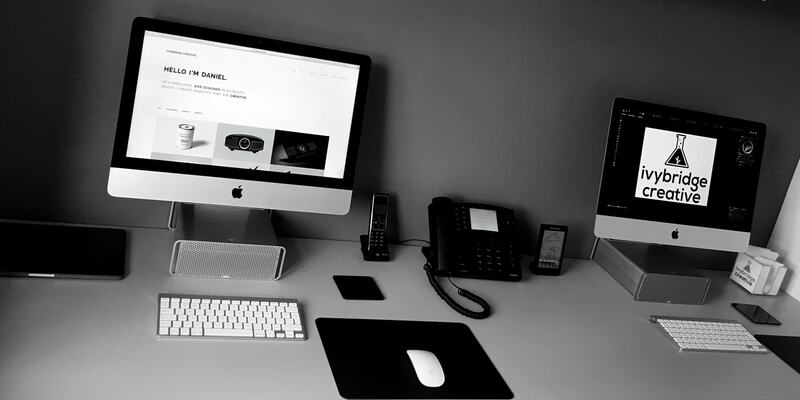 I’m a firm believer in the age old saying there’s a tool for every job, that’s why I invested and setup my home studio with equipment and software that allows me to create visually stunning and creative websites, in-line with what you’d find at top web design agencies throughout the UK with a more affordable price tag. As an early adopter of the WordPress, I focused on learning the platform and what it offered inside-out. With my real-world sales & marketing background, I then moved onto building high-converting WooCommerce stores which are ideal for any size of company from startup to full retail stores. I’ve built websites and WooCommerce stores for sole-traders and businesses all over the UK, including some pretty big brand name companies in Europe. So why hire me? Whether you meet with me in person or work remotely with me if you’re a bit further afield, I’m the person that will be building your website. Over the years I’ve picked up many clients who were made false promises by the ‘slick’ sales pitch they were given, when they were interviewing prospective web developers. If it can be done, I’ll do it and if it can’t, I’ll be honest. Other feedback from clients that have worked with me over the years is that I not only understood their website brief, I understood their business and had valuable input into their web design requirements. This is what sets me apart from other web designers and agencies. As Jimmy Johnson once said – The difference between ordinary and extraordinary is just that little extra. I focus on pro-quality affordable WordPress websites for smaller businesses. With a successful previous career in sales, I understand ‘real-world’ selling. Every website I build is fully responsive and tested for mobile & tablet functionality. Every website I build is fully HTTPS compliant, for added security and SEO. Every website I host is backed up to amazon S3 servers every single day. I run my own super-fast server for my clients, don’t buy budget hosting!